Our Pokemon Quest Pokedex page contains a list of all Pokemon in the game, and will be updated regularly as new entries are discovered. 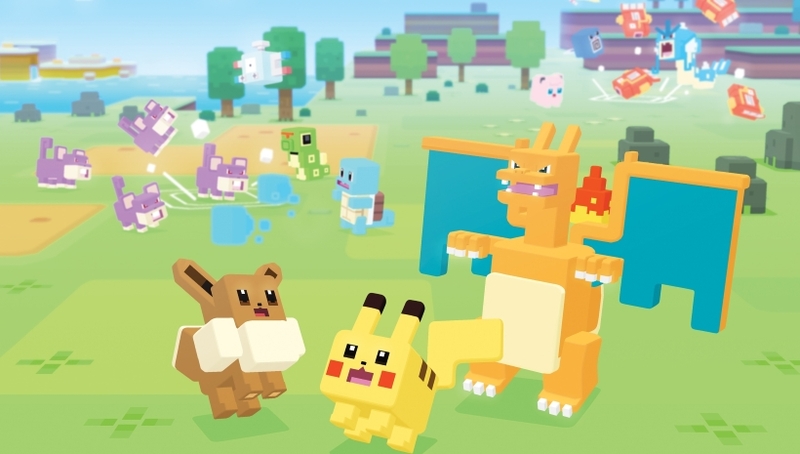 Pokemon Quest hit the Nintendo Switch eShop a littler bit earlier on today, and a version of iOS and Android devices is expected to be released before the end of June 2018. This is quite a different take on Pokemon, with the action set in a blocky world where your Pokemon wander the wilds and you take charge of their abilities. Of course, it wouldn't be a Pokemon game with a generous number of critters to collect across the dozens - or even hundreds - of hours the game's most devoted follower's will clock up in the months of gameplay ahead of us. In this article, we're going to be tracking every single Pokemon that can be unlocked in the in-game Pokedex by heading out on new expeditions and cooking up an assortment of Pokemon-attracting dishes back at Base Camp. To finish this up though, we're going to need your help. Please register and let us know of your own discoveries in the game. Each morning we'll collect all of the information gleaned here and elsewhere on the net and update this list! That ends the first edition of our Pokedex guide. As you can see things are pretty bare at the moment, but if you post your own discoveries in the comments we'll have this list finished off in no time. We'll also be scouring the net for the latest discoveries each morning, and will add what the community's uncovered to this list! Alright, seeing as everything confirmed so far was lining up with the established 150 order, I've just gone in and updated the list accordingly. Thanks for getting involved and do an@Bedders if you spot any errors so I can jump in. Thanks for the updates everyone, I shall drop them in the list now. Shhhh, nobody tell them that the 150 translate directly from the Kanto dex - Mew. cracks me up that a video game news forum (whose author probably grew up during the Pokémon craze) can’t recognize the 150 Pokédex number. Isn't this just Generation 1 without Mew? Think about it. The developers said it's gen 1 exclusively. Gen 1 has 150 Pokemon. @Aglebob Lovely thanks I'll add those in right away!